What (obvious or not-so-obvious) job-hunting mistake will you never make again? What job-hunting tip, secret, or technique would you stress to your very best friend? 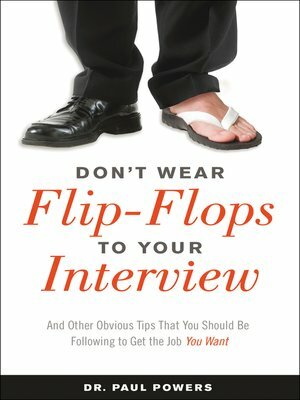 Don'tWear Flip-Flops to Your Interview is packed with strategies and techniques that are practical, market proven, easy to use, and often humorous. Added to this powerful mix are the hard-won lessons from the personal experiences of thousands of professionals who have succeeded in the job-changing game. Don't Wear Flip-Flops to Your Interview takes you through every crucial step in your job search, from getting interviews and answering those really tricky questions to negotiating the best deal possible.